Little Tikes Cozy Pumper, Only $18.88 at Walmart! With the holidays over and the new year beginning, Walmart is making space for new toy inventory. We continue to see rollback and clearance prices on toys like this Little Tikes Cozy Pumper! For a limited time, pay just $18.88, originally $24.99. Receive free shipping on orders of $35.00 or more, or choose a Walmart near you for free pickup. Walmart Toy Clearance: $5 Activity Table, $10 Trampoline & More! 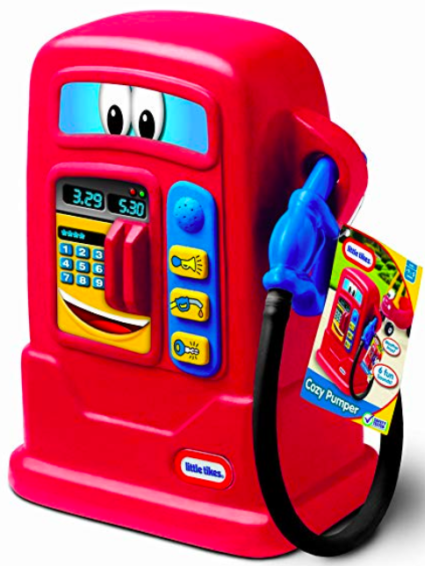 The post Little Tikes Cozy Pumper, Only $18.88 at Walmart! appeared first on The Krazy Coupon Lady.